Some argue that if the 1981 Springbok rugby tour of New Zealand had been halted from the outset, the impact on the hearts and minds of South Africans would not have been as profound. 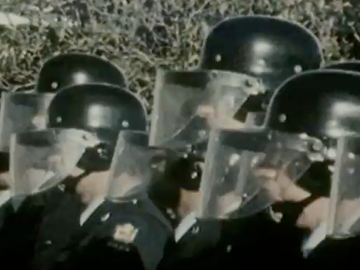 This Leanne Pooley-directed film aims to show how events in Aotearoa (captured in Merata Mita's documentary Patu!) played out in South Africa; how the tour protests energized blacks, shamed the regime, and provoked democratic change. Says Archbishop Desmond Tutu: "You really can't even compute its value, it said the world has not forgotten us, we are not alone."